On Easter Friday with nothing open and nothing to do, if you’re searching for Easter ideas, why not try the grown-up version of an Easter egg hunt? The Eater beer hunt! Hide three or more of the following new Ballast Point beers around the house and let the hunt begin! Ballast Point are already world famous for their class-leading Sculpin IPA; now they have produced another IPA… this time a double, called Manta Ray. Swooping in at 8.5%, this brew is like the Easter bunny on steroids with a huge amount of hops. It’s smooth, thick and juicy with tangerine and pine notes up front then a sting in the tail with a citrus bitterness that lingers longer than roadworks in Nelson. Imbibe this while having a gooey chocolate egg. The egg’s sweetness will accentuate the beer’s bitterness and the beer’s bitterness will accentuate the egg’s sweetness. Nom nom nom. 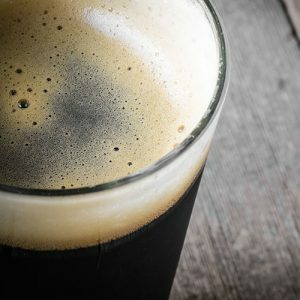 If you’ve tried black lagers and black IPAs, now there are red stouts. Ballast Point’s Red Velvet Oatmeal Stout is like the American cake that inspired it. If you eat with your eyes then this beer takes the cake. Quickly dump the bottle upside down into your glass and the nitrogenated pour will produce a thick, creamy, pink-icing-like head that will sit upon a beetroot-red liquid. Tasting like strawberry and cherry ice cream with chocolate chips, it’s slippery smooth and feels naughty, however is not overly sweet. It’s stout Scotty, but not as we know it! Commodore Cinnamon Raisin American Stout is the quintessential hot cross bun served in a glass. This bitter sweet brew contains copious amounts cinnamon together with roast malts and underlying raisins. Serve on the warmer side of cold and you’ll taste nuances of coffee, chocolate and hazelnuts. Pair this with hot cross buns smothered in butter for an Easter Sunday breakfast in bed treat. Don’t forget to hop on down to Fresh Choice Nelson before Friday and hunt out your Easter elixir essentials.